From African American to Asian American, indigenous to immigrant, multiracial to mixedblood, the diversity of cultures in this world is matched only by the diversity of stories explaining our cultural origins: stories of creation and destruction, displacement and heartbreak, hope and mystery. With writing from Jamaica Kincaid on the fallacies of national myths, Yusef Komunyakaa connecting the toxic legacy of his hometown, Bogalusa, LA, to a blind faith in capitalism, and bell hooks relating the quashing of multiculturalism to the destruction of nature that is considered unpredictable ? 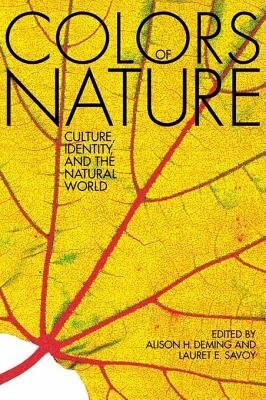 amongst more than 35 other examinations of the relationship between culture and nature ? this collection points toward the trouble of ignoring our cultural heritage, but also reveals how opening our eyes and our minds might provide a more livable future.